Quality footwear is like a relationship; there is immediate attraction and growling desire but it is not until you have lived together for a while that you really know whether you are right for each other. We have deliberately waited before coming to a firm view about whether these are lifers. Some eighteen months ago, our Matt had his ardour for a Cordovan Service Boot dampened by construction issues which only came to light with the passage of time. Also, we wanted to put them through their paces through the North German winter before commenting too much. Even though they are not marketed as a boot for extreme conditions, we believe that they should be able to at least some punishment. The weather has been ridiculously mild though, so it has taken until these first days of spring to cover at least 250 miles and to really get to know these Engineers. First things first. Out of the box, the Black Whirlwind, full-grain American hide is flawless and remarkably supple. The stitching to the Goodyear leather welt and finishes on the Vibram V-Bar outer sole are neat and trim, and the straps are of a decent enough thickness to be manageable yet prevent ugly curling. A word of caution, though. These Chippewa Engineers don’t just run big, they run HUGE! So much so that ordering a full size down would have still left room for a thicker winter sock, if needs be. Tyre companies, paper mills, widget manufacturers – they can all work to tolerances comfortably within a millimetre so why can’t footwear companies fall in line? In an era where more and more boots and shoes are bought online, surely it makes send to introduce some standardisation. It would save us all so much time and frustration, not to mention the added cost and CO2 associated with returns and reshipping. So yes, these puppies have been treated to a sturdy leather insole and they now feel as they should. After this though, it is all good news. After six months’ regular service, the leather has begun to settle and show signs of developing character but there are no signs of sloppiness setting in. Moreover, none of Matt’s disappointment with the Cordovan Service boot has reared its ugly head. In fairness, Matt did suggest at the time that he had maybe unearthed a dud and, on this evidence, he might well have called it correctly. Would we recommend a long and loving affair with the Chippewa 1901M25 Engineer? Yes, we would. It is a good-looking beast which sits handsomely atop a 2.5″ Logger type heel. 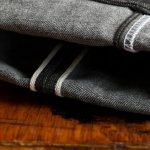 The sheer quality of the leather means it will still look great whether it is polished up for a dressier finish or given a serious rubbin’ with the dubbin for a more carefree outdoor life. The clincher is probably the price. Coming in at just under $330, she is hardly a cheap date but Chippewa have priced have priced her competitively against similar boots in the category. Description: Made in the USA with certain imported materials. Insole: Texon with maple leather heel. 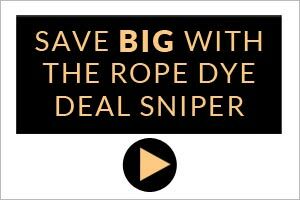 Buy online directly from the manufacturer or click here for more stockists. 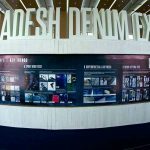 Bangladesh Denim Expo 25 & 26 April Presents The Latest Trends & Technologies.